Drew and Tim traveled to Austin in early February for TCEA 2017, the annual education technology conference and exhibition put on by the Texas Computer Education Association. Our 11 3D printers, working non-stop in our booth, attracted a lot of attention and curiosity. The NWA3D A5, with its unusual, minimalistic design, drew attendees over for an even closer look. And they were astonished when they saw us jostle the A5s and turn them upside down while they kept on printing. 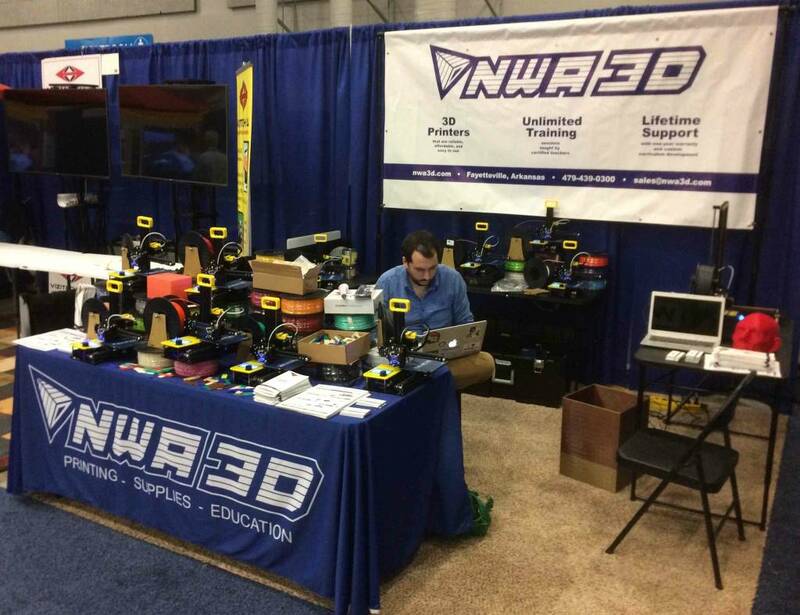 Our goal is to make 3D printing easy for educators. We support that goal with our three "pillars": 1) affordable, reliable 3D printers, 2) unlimited videoconference training by certified teachers, and 3) lifetime support, including a no-questions-asked, one-year warranty for schools and educational organizations. We don't want 3D printers turning into toy factories or becoming expensive paperweights. We don't disappear after we sell our printers. We train and support our customers to make sure our printers are used, and useful for teachers and students. We enjoyed our conversations with so many dedicated teachers, librarians, tech coordinators, and administrators, both at TCEA and at the FETC exhibition in Orlando two weeks earlier. We hope we helped many people understand that 3D printing in schools can be affordable, reliable, and relevant to project-based learning—which is exactly what education technology is supposed to do.